Fresh salads are super good for your body and they look so appetizing. 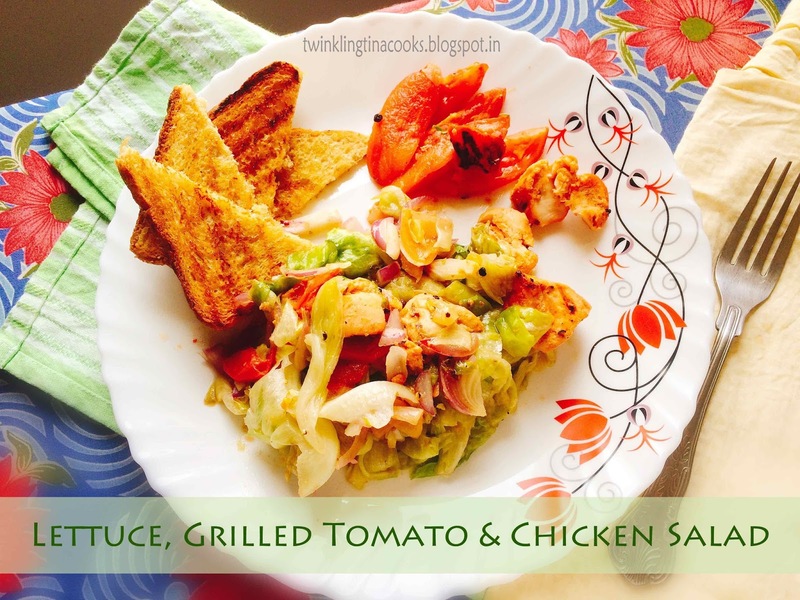 The Lettuce, Grilled Tomato and Chicken Salad is colorful, fresh and super yum. 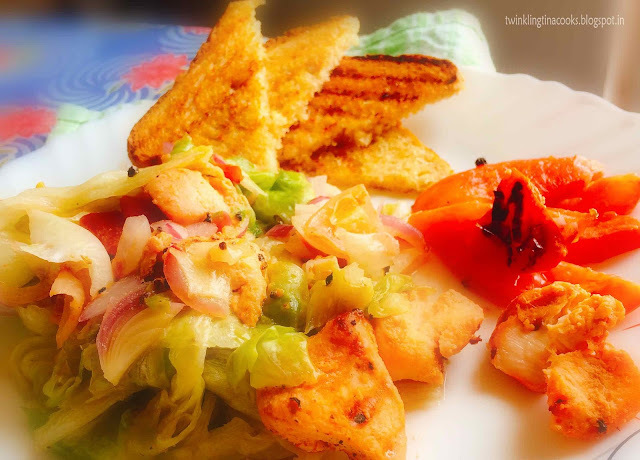 I made this for my breakfast today and made a healthy start to the day! This #AtoZChallenge is making sure I am eating right this month. The salad doesn’t have any mayo or fatty dressing so you can eat at peace. 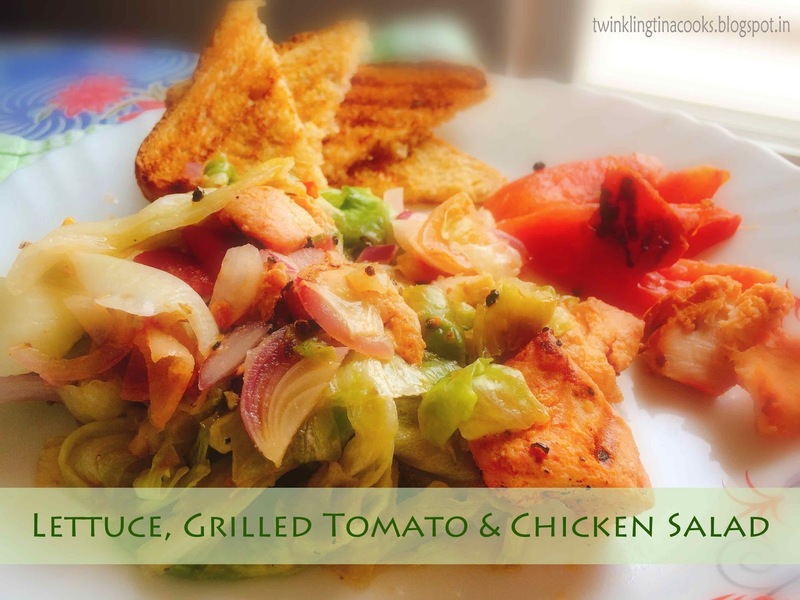 Drizzle 1 tablespoon of olive oil on over tomato, onion, lettuce and chicken till they are nicely coated. 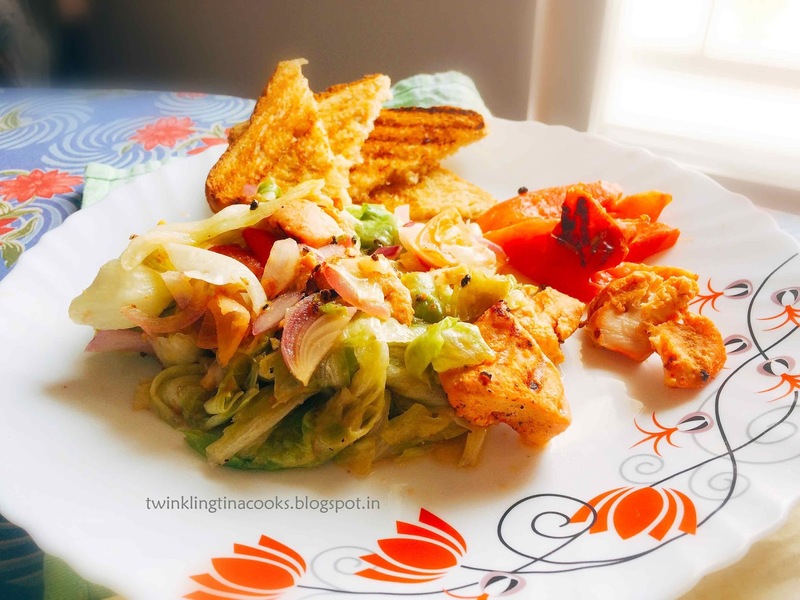 Keep turning the vegetables with a tong frequently – you don’t want anything burnt! Try and tell me if you liked it or not. This post is written for the A to Z Challenge 2016 for Day 12 Letter L. Visit A to Z, BlogChatter to read other beautiful bloggers!